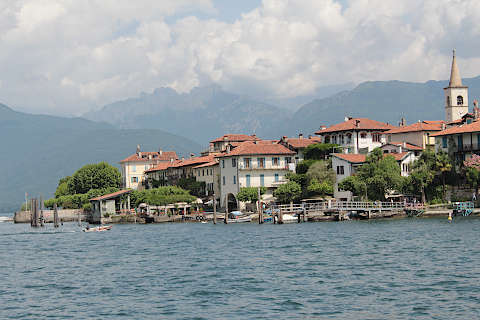 Isola dei Pescatori is part of the group of Borromean Islands in Lake Maggiore, in northern Italy. 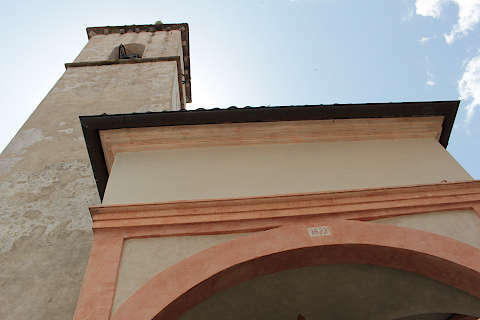 Note: this island sometimes appears on maps and tourist information as Isola Superiore. 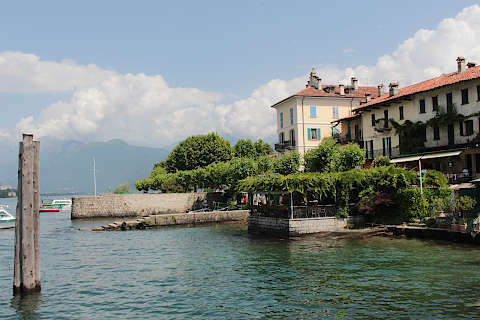 While the other two important Borromean Islands - Isola Bella and Isola Madre - are occupied by grand villas and gardens, the Isola dei Pescatori is largely covered by a village. 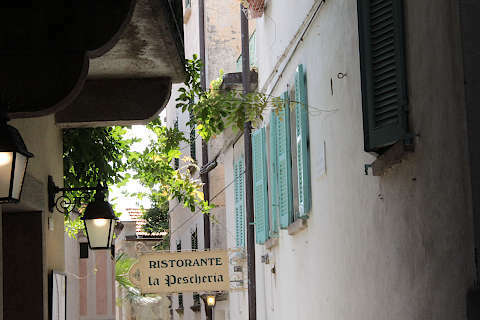 The name of the island, 'Pescatori', is the Italian for 'fishermen'. 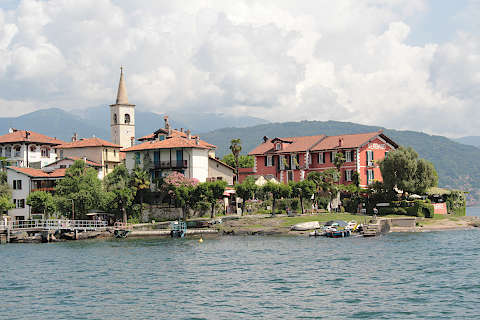 Italy This Way comment: although the island is small and there is no grand villa to see, the village on Isola dei Pescatori has a great deal of charm and we recommend you include it as part of your tour of the Borromean Islands. 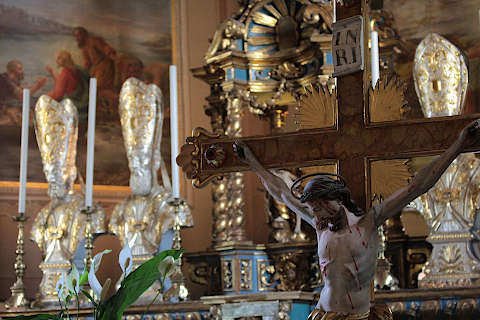 Despite the size of the village, there are only about 20 full time residents on the island. The island is now largely dedicated to tourism, although a small amount of fishing still takes place. 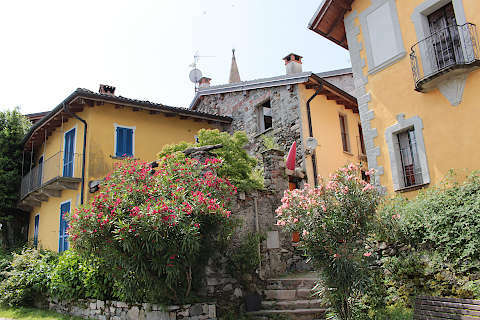 Many of the houses are now guest houses, holiday rentals and holiday homes. 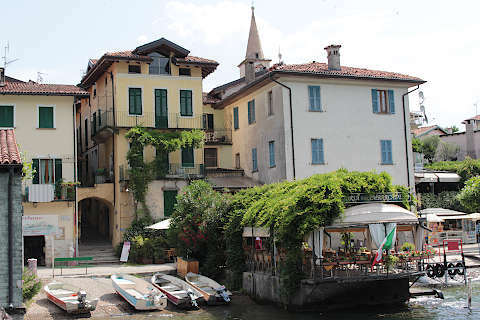 One of the highlights of your visit to Isola Pescatori are the views as you arrive on the boat, so make sure your camera is ready! 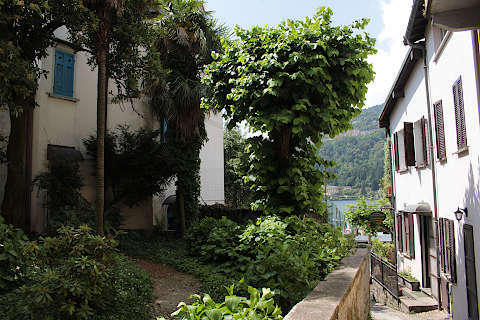 As you approach, first you get a view of the whole island, then as you get closer you can see the harbour area more clearly - this is perhaps the most charming part of the island. Around the harbour there are several cafes and restaurants, and sometimes a small market. 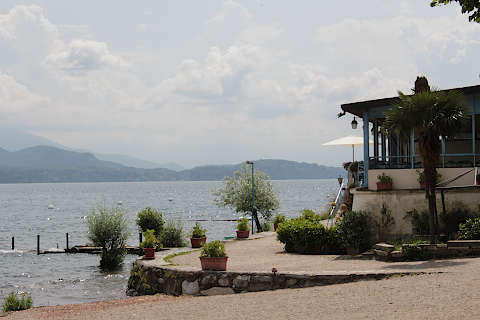 The island is easy to explore: there is a footpath around the lake shore, with views to the other Borromean islands and the coast around Stresa, and the small historic village in the centre of the island. 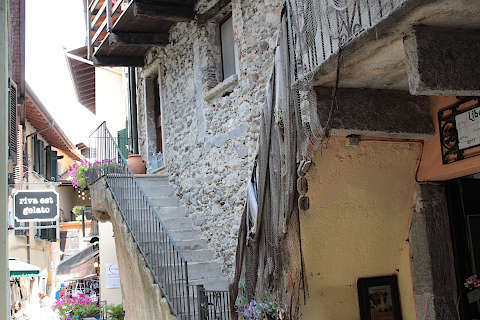 There are just two main streets in the village, Via Ugo Ara and Via del Porto, which are both very narrow paved streets (you can touch the houses on both sides at the same time in places!) 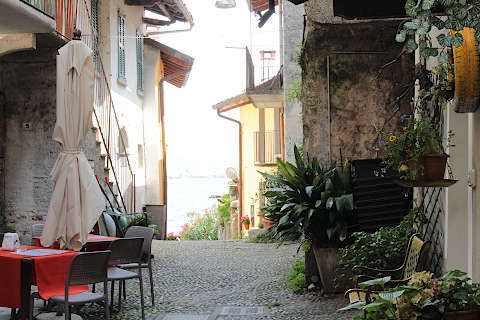 and then small side streets that lead to the edge of the island. The streets contain lots of small shops and cafes. 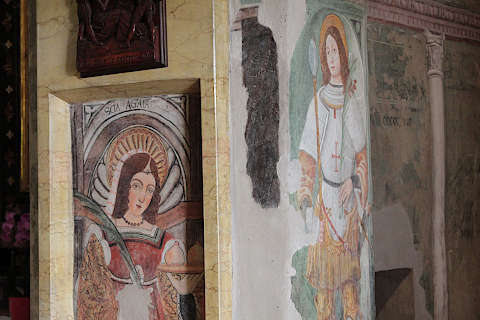 The most important historic monument on the Isola dei Pescatori is the Church of San Vittore: inside the church you can see several frescoes as well as an attractive altar below a painted dome. 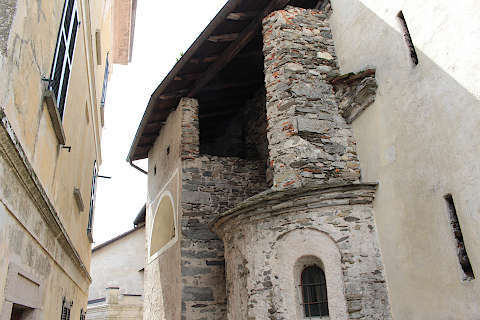 The church still has small parts of the original 9th century church that once stood here. 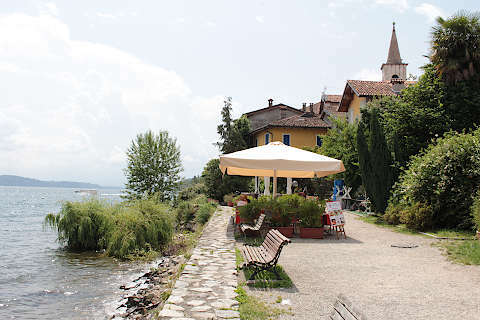 In the north of the island there is a park where you could enjoy a picnic, and there are also several restaurants on the island which offer surprisingly good vale for money. 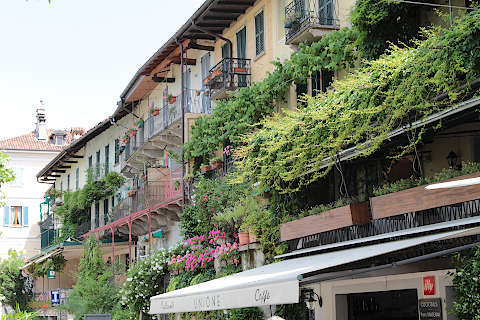 We liked the Albergo Ristorante Belvedere because of the views and the prices! 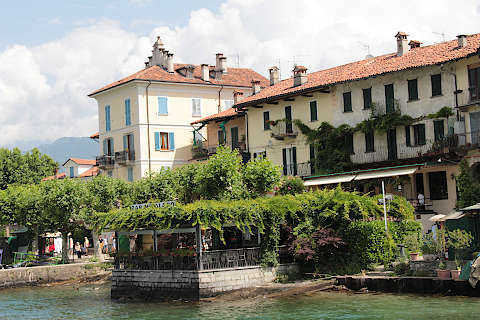 You will certainly visit the Isola dei Pescatori as part of a tour of the islands in Lake Maggiore: see Borromean Islands for details of the others (Isola Madre and Isola Bella). 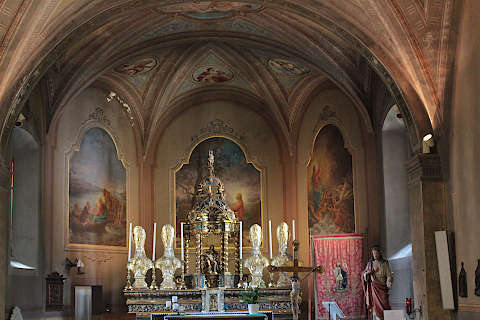 Elsewhere around the lake you will want to visit Stresa and there are various other small destinations: see the Lake Maggiore guide for details.